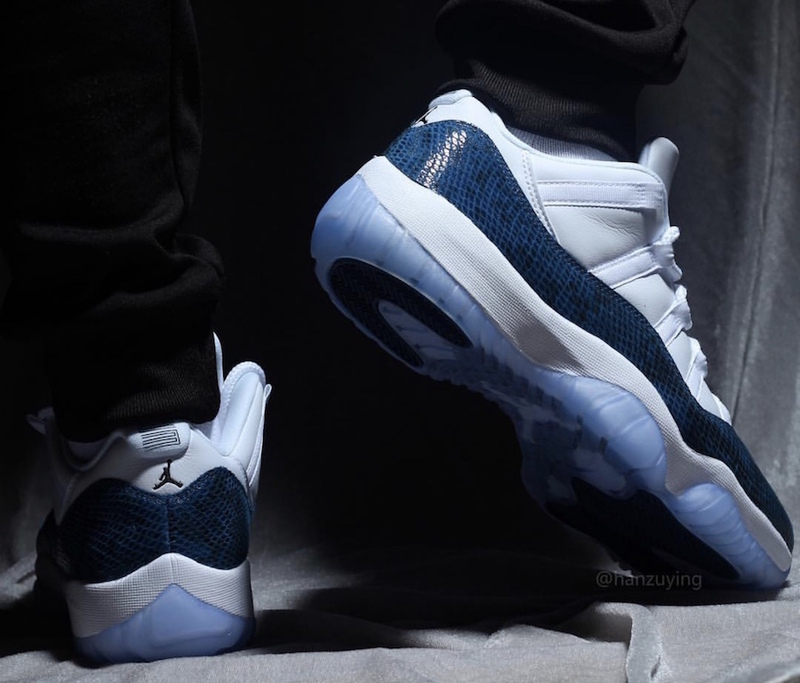 Navy Snakeskin AJ11 Low returns in April. 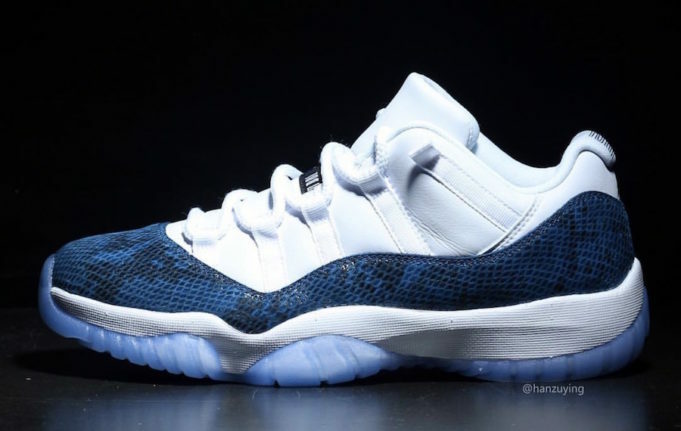 Jordan Brand has plans to release multiple low-top Air Jordan 11s in 2019, including several snakeskin renditions. 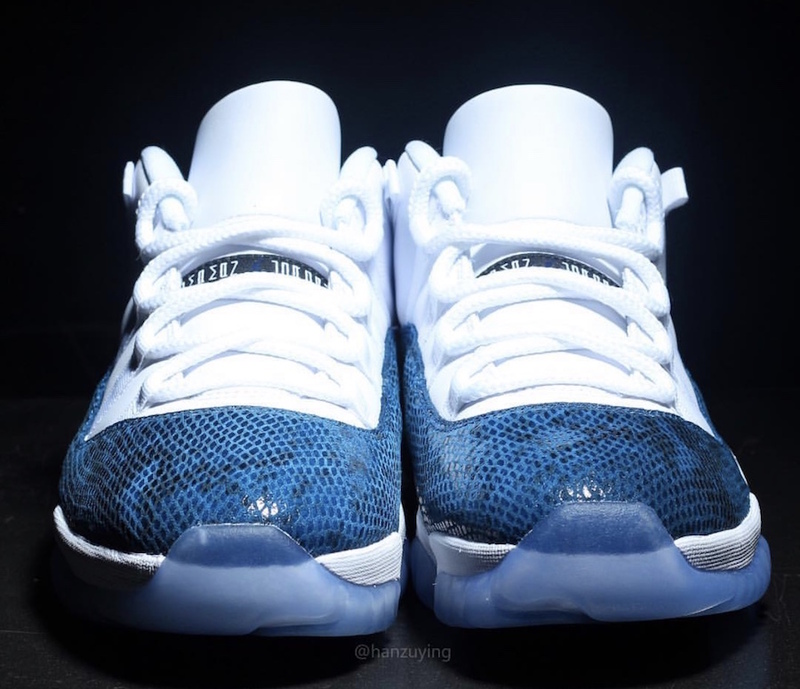 Among them, the beloved "Navy Snakeskin" colorway that first released back in 2001. 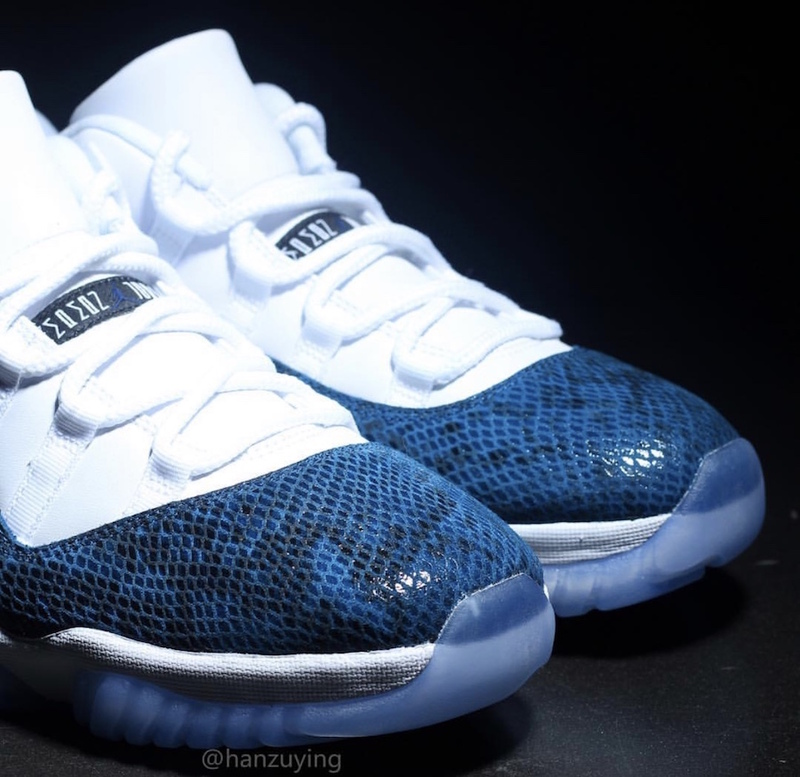 According to sneaker source @Zsneakerheadz, the Air Jordan 11 Low "Navy Snakeskin" is slated to drop on April 19 for the retail price of $185. 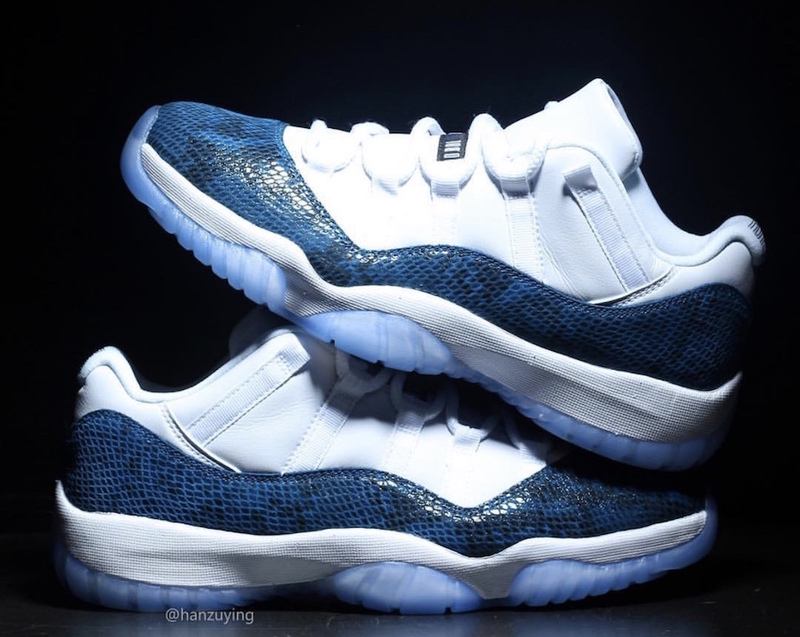 In addition to that snakeskin Air Jordan 11 Low, Jordan Brand will also be releasing "Light Bone" and "Pink" colorways featuring the same reptilian detailing. 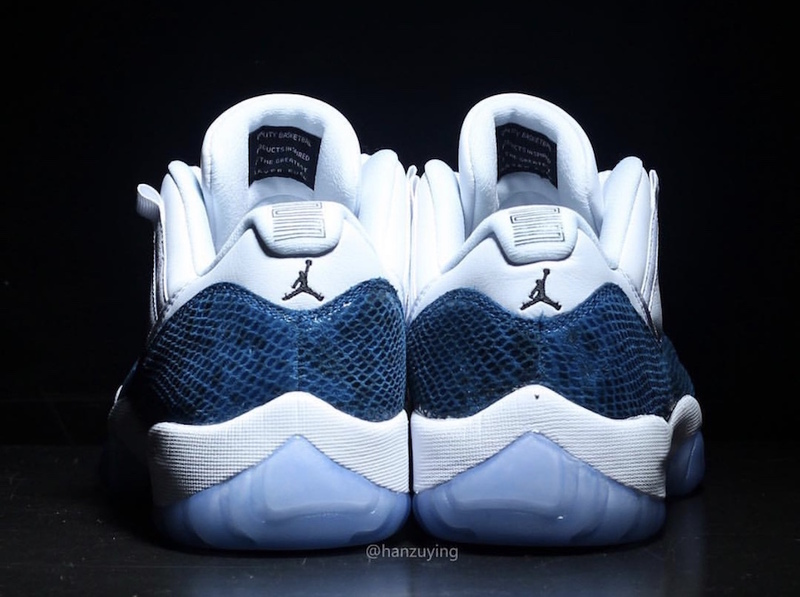 It is also being reported that an "Orange Trance" colorway will release in women's sizes. 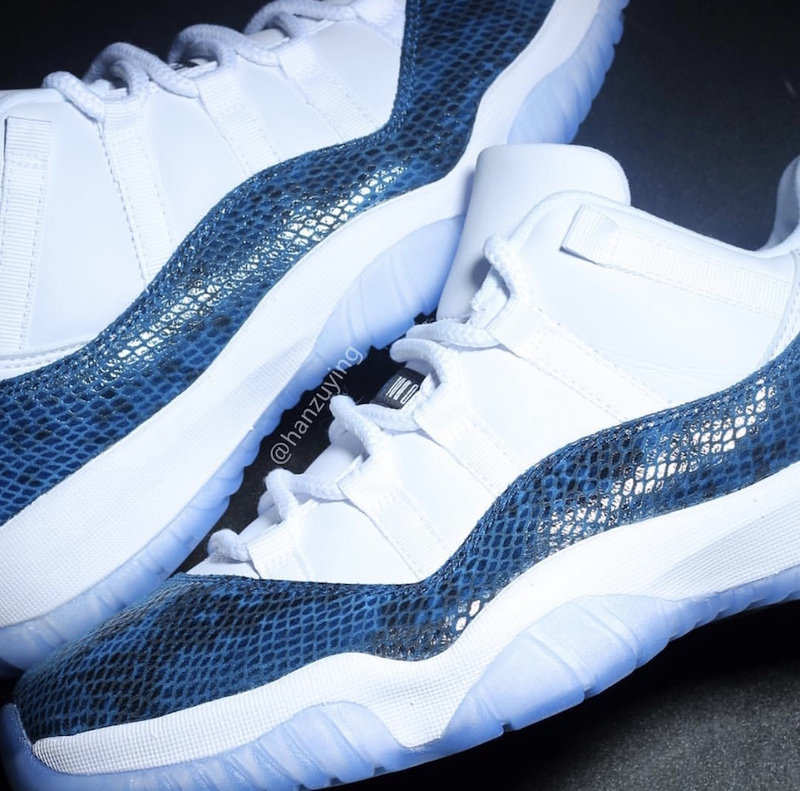 Those kicks, also rumored to release in the Spring of 2019, feature a white leather upper accompanied by the traditional patent leather detailing in a bright orange hue. 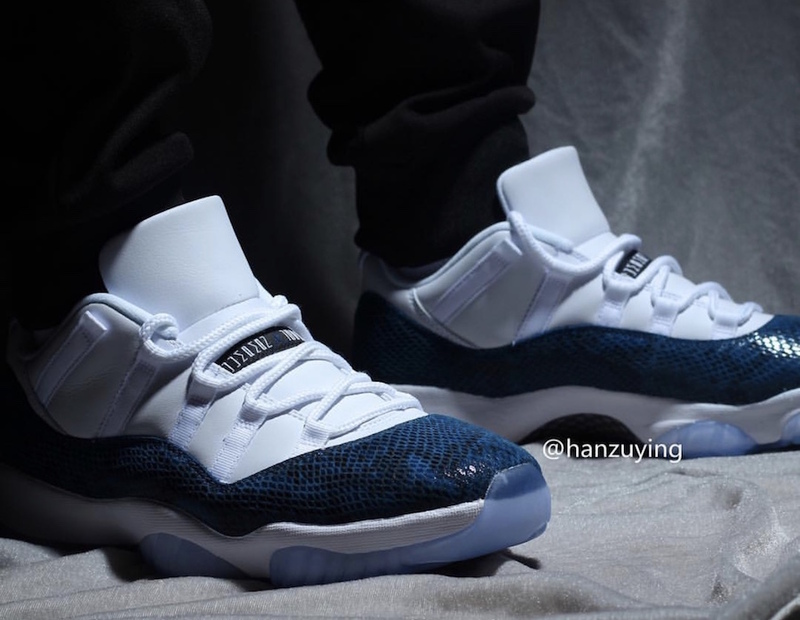 Take a closer look at the 2019 "Navy Snakeskin" Air Jordan 11 Low below, while we await official images.